Everyone has heard of DNA. But by itself, DNA is just an inert blueprint for life. It is the ribosome - an enormous molecular machine made up of a million atoms - that makes DNA come to life, turning our genetic code into proteins and therefore into us. Gene Machine is an insider account of the race for the structure of the ribosome, a fundamental discovery that both advances our knowledge of all life and could lead to the development of better antibiotics against life-threatening diseases. But this is also a human story of Ramakrishnan's unlikely journey, from his first fumbling experiments in a biology lab to being the dark horse in a fierce competition with some of the world's best scientists. In the end, Gene Machine is a frank insider's account of the pursuit of high-stakes science. This is not just an autobiography of Nobel Laureate Venki Ramakrishan, a structural biologist who has been recognised for his work on the Ribosome, the complex molecular living machine that produces proteins. It is a unique inner glimpse at the specialised fields of biochemistry, molecular biology and biophysics, the people behind it, the fast paced advancements, competition, collaboration, politics, and the high stakes game of decades work coming to fruition. If you were amazed by the mRNA Translation videos on ytube, showing the smallest most complicated living machine made of a million atoms, you will be even more amazed at the decades amount of work it took to achieve this knowledge. This is also a story of modern science and what it takes to be at the top, and some of its shortfalls when it comes to recognition. So many people contribute for only a few to be recognised. An incredible book. Highly recommended for its fascinating story, and the depth of science involved. Top Marks!!! I rarely write the reviews, but I was surprised by this book too much not to write one. 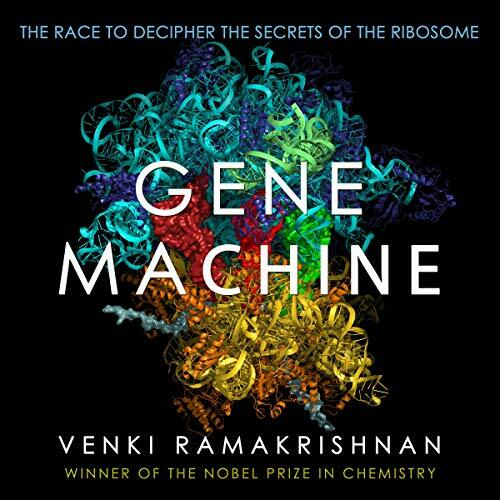 The book follows the path of Venki Ramakrishnan - from his graduate studies and how he came across ribosomes to him winning the Nobel Prize for his work. The book also brilliantly explains the science(basic ribosome functions, crystallography, etc) on the level that any person could easily understand without being too simple, the fact I particularly liked as a bioengineering student myself who hasn't taken that many biology/biochemistry classes. What I absolutely love about the book is how honest and self-reflective the author appears to be. He is humble and tells somewhat embarrassing stories about his professional life, but most importantly he appears to have given credit to every person who has touched his life - he talks about his technicians, says how grateful he is to all of his amazing grad students and fellow scientists some whom he didn't actually know, but who provided him with compounds that he needed for the experiments. He extensively talks about politics in science - how the prizes are awarded, etc. His reflections on the Nobel Prize are mostly critical due to it being so restrictive about how many people are recognized for important scientific discoveries. In summary, I would recommend this book to anybody interested in learning what it's like to be a scientist in the modern world of competition, collaboration, and how sometimes luck is what it takes to get there. In addition to that, the book is full of funny personal anecdotes and cool ribosome science, which makes it a must-read for anybody who is even remotely interested in science. Oh, and the narrator is great! This book was more about the history of winning the Nobel prize then the science. I was disappointed because I wanted to learn about ribosomes and bio mechanics. Instead I got an interesting history of the politics in front lines science. It is an amazing book in ribosomes structural biology and Crystallography. I wish many more books will be available on audible in coming months/years. Gene Machine is an entertaining view of the scientific forays of a Nobel Prize recipient. He gives detailed explanation of crystals and their role in building understanding of the ribosome. Though technical, the story of the teams, personalities and struggles encountered adds humor and interest to the book. very good story and comprehensive. about science, being a scientist, academia, and even the high accolades of the community. If you’ve ever wondered about what drives scientific discovery, this is for you - a passionate description of an amazing biological machine. This is a great account of what a typical work of a scientist looks like, in general. Particularly, I understood the struggle by student with an Indian background has to go through in an international arena while dealing with a bleeding edge topic in science.